Old Trafford is the venue that will see ‘The Special One’ v the Frenchman go head to head this weekend – back the home side with Today’s Enhanced Offer! Place a £10 wager on the Man United to seal three points against their rivals Arsenal in round 11 of the English top flight. Paddy Power will reward you with eight times that investment with Today’s Enhanced Offer, if the Jose Mourinho’s men get the better of their opponents. 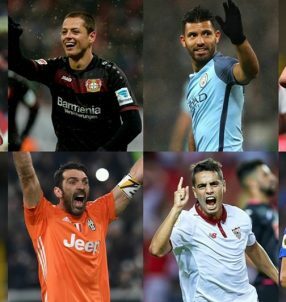 You’ll receive your earnings based on the normal price on the site, while the rest of the winnings will be credited to your account in Free Bets, taking the full amount to the 8/1 (9.00) odds with Today’s Enhanced Offer. Note: this offer is open to new customers only (18+) that reside in the UK and the Republic of Ireland. Arsenal have performed quite well until this point in the season, which has seen them clinch 4th spot on the table with 24 points (7 wins, 3 draws and 1 loss), sitting only 2 points behind league leaders Liverpool. Man United on the other hand still have not adjusted to the new management style imposed by former Chelsea boss Jose Mourinho – they’re struggling to keep up with Premier League elite, finding themselves in 6th position with merely 18 points (5 wins, 3 draws and 3 losses). More importantly, the clash between Mourinho and Wenger will take place at Old Trafford this Saturday, and Man United have only won 2 matches out of 5 at their home ground, with the other games ending in 2 draws and 1 loss. Conversely, the Gunners are enjoying blistering form on the road, sealing 4 victories out of 5, making them the best side with an away record. 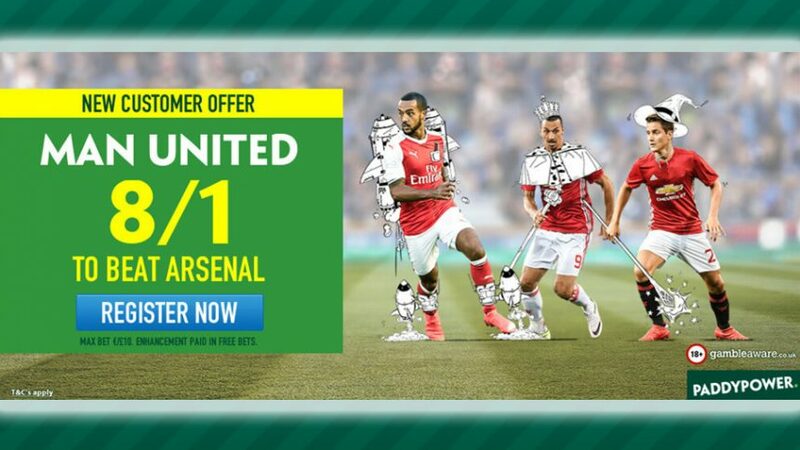 That’s why Paddy Power Sports is also offering the same Enhanced Odds 8/1 on Arsenal to beat Man United! Therefore, if you’re having doubts about the home side, you can choose to back the visiting team with Today’s Enhanced Offer. Arsenal boss Wenger didn’t delve into debate about his heated relationship with ‘The Special One,’ dismissing it as irrelevant and instead wanting to focus on the actual battle on the pitch this Saturday. There a number of exciting matches this weekend all across the continent, so don’t forget to place wagers on these special games and maximize your earnings before your night out on Saturday evening! Take advantage of Today’s Enhanced Offer 8/1 for the Red Devils to silence the Gunners this weekend at Old Trafford! Back Man United with Today’s Enhanced Offer 8/1!